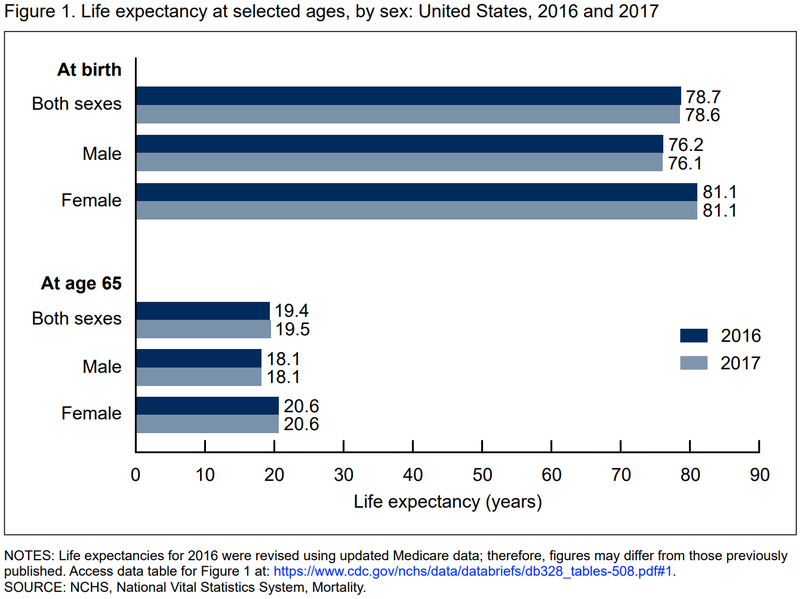 A new report from the National Center for Health Statistics (NCHS) estimated that the average life expectancy for Americans fell to 78.6 years in 2017 (most recent data). That was the third annual decline in a row and a trend that has not been seen in a century. 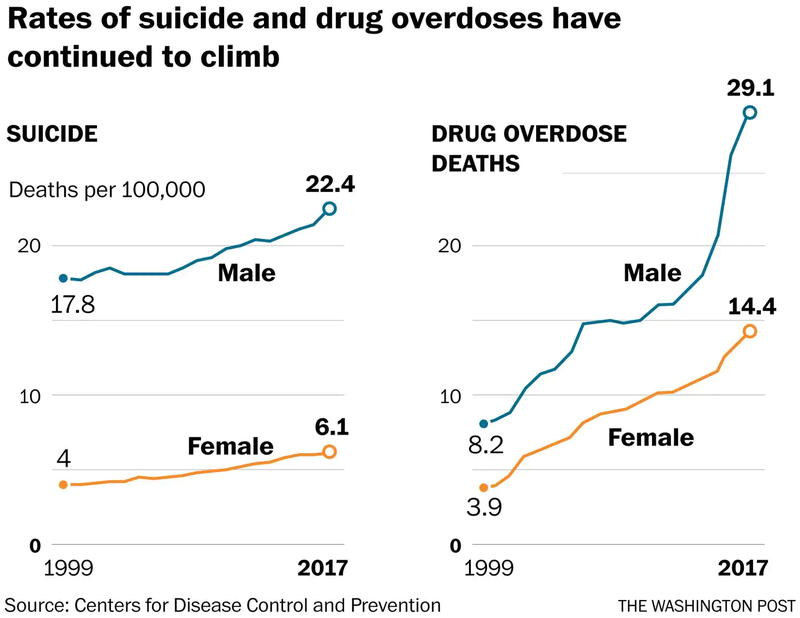 However, the last time life expectancy in the U.S. dropped for three consecutive years there was a global flu pandemic and World War I, whereas the current downtrend is sadly the result of the persistent rise in drug overdoses and suicides among younger Americans, as well as higher rates of chronic lower respiratory diseases, Alzheimer’s, and stroke. At first glance the continued decline in life expectancy might seem like it disagrees with what we learned last week regarding longer lifespans and the aging population, but it is important to remember that this popular statistic can be misleading. Indeed, the headline mortality figure that the media typically focuses on refers to life expectancy at birth, but life expectancy after you reach a certain age can be much higher. At age 65, for instance, the new NCHS calculations imply a life expectancy of 19.5 years, an improvement from 2016 and equal to 5.9 years longer than the life expectancy at birth figure. 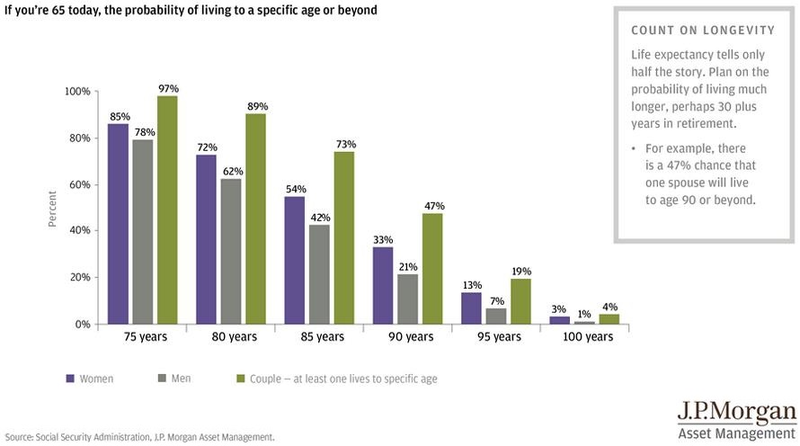 Similarly, J.P. Morgan estimated that if you are age 65 there is a 47 percent chance you or your spouse will live to at least 90, and 1 in 25 odds of becoming a centenarian. The report also revealed that the rates of fatal heart disease and cancer continued to fall in 2017. 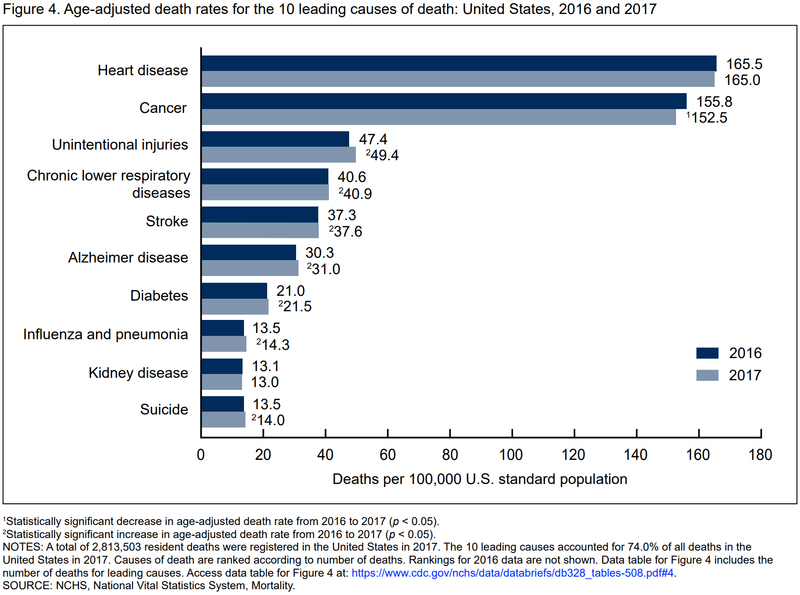 Although encouraging, these leading causes of death in America have yet to be completely eliminated, and any cutting-edge medical innovations that help treat these illnesses are far from cheap. Moreover, healthcare spending in old-age can be substantial, as evidenced by updated data from the Centers for Medicare & Medicaid Services (CMS). 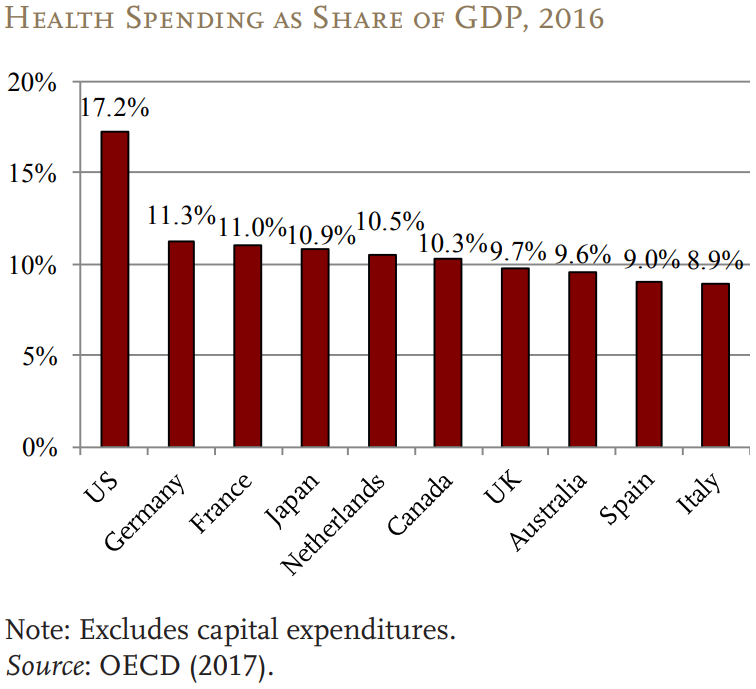 Specifically, Americans spent a staggering $3.3 trillion on healthcare in 2016, equivalent to $10,348 per person, or 17.9 percent of U.S. gross domestic product (GDP). The elderly (age 65 and older), though, do not even represent a seventh of the population but still account for more than a third of the total healthcare spending in America. What is worse is that the CMS projects national health spending will grow at a rate of 5.5 percent per year through 2026. That is a full percentage point faster than the economy is forecast to grow during the same period, meaning that healthcare spending as a share of GDP will also continue to rise. Altogether, these statistics should provide more motivation to set aside as much money ahead of time as possible for retirement. The earlier one can start the better, and taking full advantage of 401(k)s, IRAs, and other tax-advantaged savings vehicles can help greatly. Additional assistance is available through regularly working with a professional financial advisor to make sure that you remain on track to achieve the retirement lifestyle you deserve after years of hard work.